Now the bank is not in my good books. Only an automated reply that it will respond within 24 hours. No prizes for guessing whether they contacted me or not. Luckily my wife is proactive and went on line in SA to confirm my password. Back to the travels and I need to reach Rodez by this evening to see the finish tomorrow and the start on the following day. After a restless night I was up early and was brewing a coffee at 04h30. 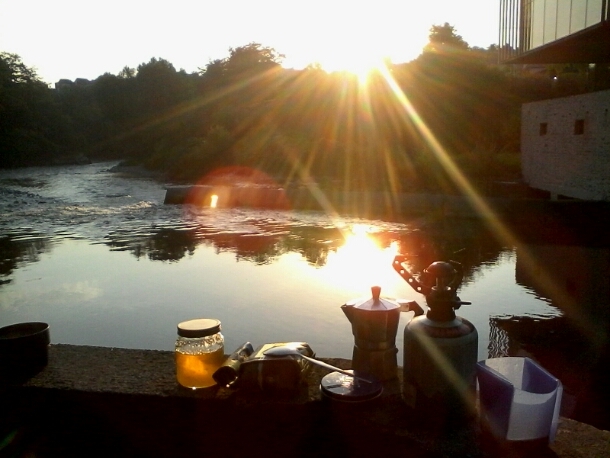 With a beautiful sunrise I was again in awe of this Oloron river and I knew it was going to be a good day. From Oloron we went back to Pau and here I finally completed yesterday’s business. Now we headed for Tarbes then Toulouse via the holy city of Lourdes. Again we called in the help of the SNCF and on route crossed the Albi river over a bridge that was built by the same guy that built the Eiffel tower of course Mr Gustave Eiffel. 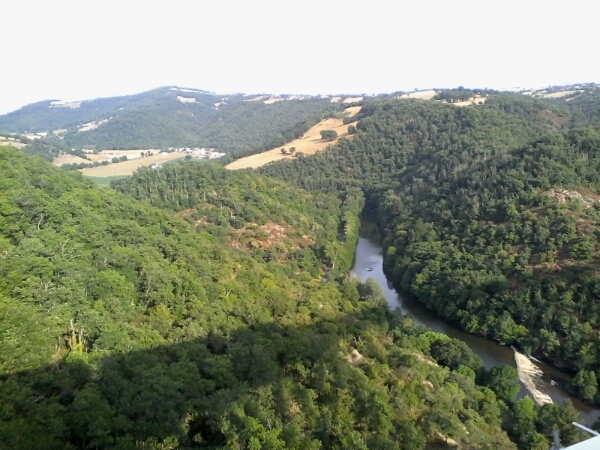 We arrived in Rodez at 08h00 and found a lovely haven at the towns municipal camp site on the Aveyron river. After erecting tents and a quick meal I was ready for bed as it had again been a very hot day. I feit dehydrated and had quite a lot of fluid before going to bed.